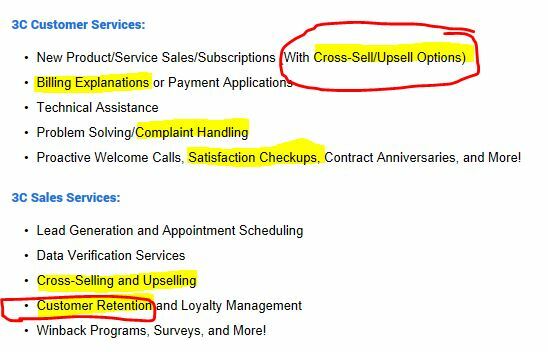 3C Contact Services signs Empower Network as new client – do they know what they’re in for? I just saw a press release from a company called 3C Contact Services, announcing that they are “proud” to have the highly controversial company Empower Network as a new client. Though I have never been part of EN, I have read a lot of reviews and complaints about them, and could not resist reading a bit further to learn more. I wondered who this 3C company actually is, is if they are so “proud” to be associated with Empower network, do they really know what EN is all about, and how controversial their recruiting tactics actually is? I have yet to meet someone who is on the fence about this company, those who make money will defend it with all their might, while the majority who made losses and have left, think its pure evil. I have received quite few emails trying to recruit me into EN, but fortunately through experience and my background in accounting and auditing, I was able to see through the sales tactics and the flawed compensation plan. Empower Net work also have a reputation for attracting some of the biggest online scam artists. So what is 3C Contact Services? With a company that already has extremely aggressive up-sell incentives for its members/affiliates, does this mean that 3C will be adding additional up-sell calls to new customers? Given that only a small percentage of EN members actual make money, does 3C have any idea how many complaints they will have to handle? What is the “Customer Retention” services, and will they make it even harder for people who want to leave EN? 3C know exactly what they are doing, and are going to attempt to increase up-selling and customer retention in the Empower Network, therefore increasing the damage that this company is doing. I’ve given my opinion, but what do you think? Have you ever been involved with Empower Network or 3C Contact Services? Do you disagree with my take on EN as a company? Been there, seen it, done it! Upsell after Upsell after Upsell etc…. The only products they have are how to recruit more people across various markets.I wonder how long that can sustain itself? I think it will sustain itself as long as they can find new people to recruit, because that’s the only way for anybody to make money in their compensation structure. At some point it must slow down, and I suspect they will just introduce another product…or maybe hire a call center company! I have noticed a lot fewer EN ads online, so maybe a few people are wising up. Sorry to hear that you got scammed by Empower Network, but you are in good company now with thousands of members at Wealthy Affiliate! I learned a long time ago that empower network should have been named Non empower Network and found that it was costing a lot more than it was ever worth to me. It is diametrically opposed to Wealthy Affiliate, which is an honestly empowering program. They are only using to name ‘Empower’ to play with the minds of their victims, Sam. Like you said, in reality absolutely nothing empowering about that organisation. If you do some digging about the Dave’s you will find that they are well educated in psychology and influencing the decision of people to get what they want. Thanks for stopping by and adding your opinion.